As the weather warms up, you may feel like changing up you normal drink preferences for something a bit lighter, summery, and refreshing. Here are 5 options you can try. Beer is refreshing all year round! Perhaps try a lighter variety than what you might normally get. For example, a golden ale or pale ale are refreshing options, rather than a heavier dark ale. A classic! 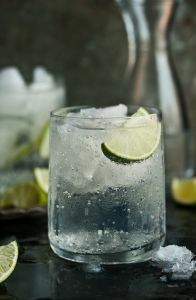 Gin with tonic water and a slice of lemon or lime is cool, light, and refreshing. It’s the ideal beverage to top off a hot day, as you enjoy the summer evening atmosphere. This one is for tequila lovers, although is still very tasty even of you’re not a tequila fan. The traditional margarita has a strong lemon flavor, with a salt rim around the glass to add depth to the flavours. Newer fruity takes on the recipe are sometimes even tastier, and still refreshing. This drink is perfect for summer evenings. A classic Spanish beverage, you’ll feel like you’re enjoying a summer night in Barcelona as you sip a sangria. Sangria recipes vary depending on where you go. It’s much like a punch recipe, in that you can add your own unique touches to the recipe. Usually it includes red wine, a liquor such as brandy, juice or lemon drinks (like lemonade), sugar or another sweetener, and chopped fruit such as orange, lemon, peach, apple, and limes. This cocktail is great shared with friends. A light and tasty non-alcoholic option. Imagine yourself sitting back, looking over the water, and sipping this on a hot summer day. Amazing! Made up of lemonade, lime juice, and bitters, it’s basically summer in a glass. Come into WestWaters Hotel and enjoy the warm weather and cool drinks with us.